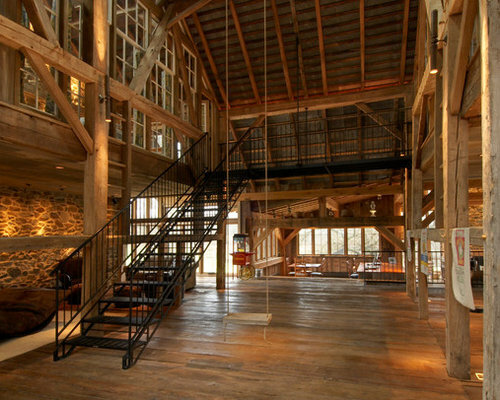 This timber frame was repurposed from an old tobacco barn, cleaned, crafted and erected on the property. 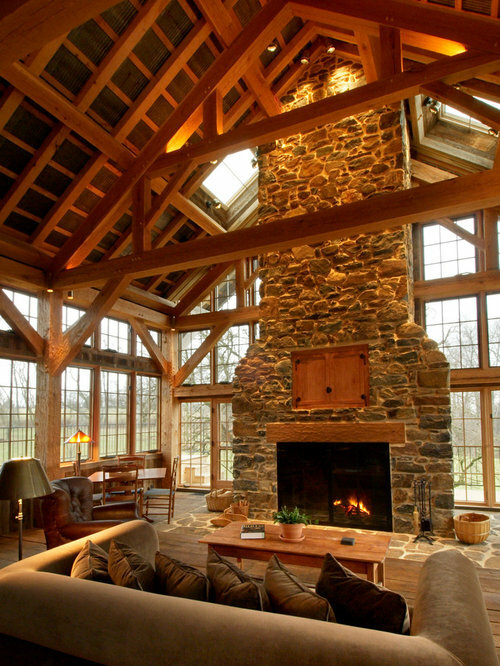 The combination of timbers, stone and windows creates an amazing view for this great room. 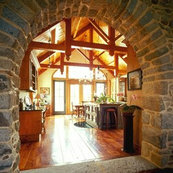 Timber Framer: Lancaster County Timber Frames / General Contractor: Historic Restorations. 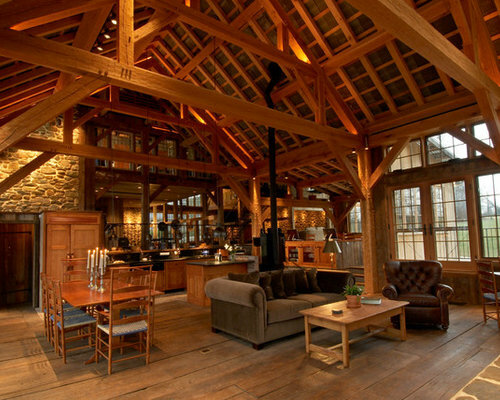 This home was once a tobacco barn. 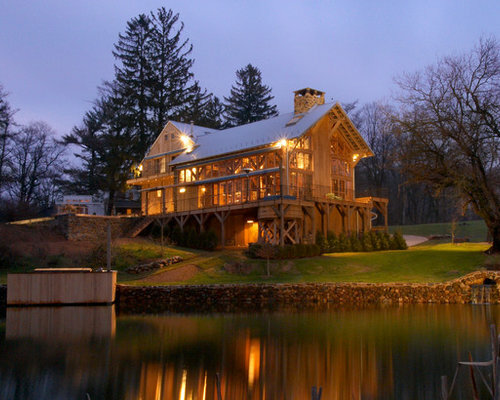 All timbers were taken down and cleaned, inspected, and carved into a repurposed home. 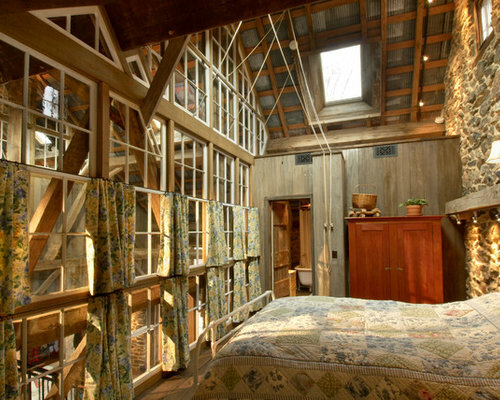 Many of the materials in the home were also reclaimed-from the random width flooring to the barn sided walls. 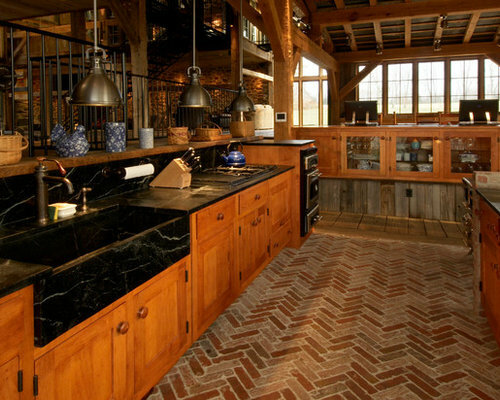 General Contractor: Historic Restorations. 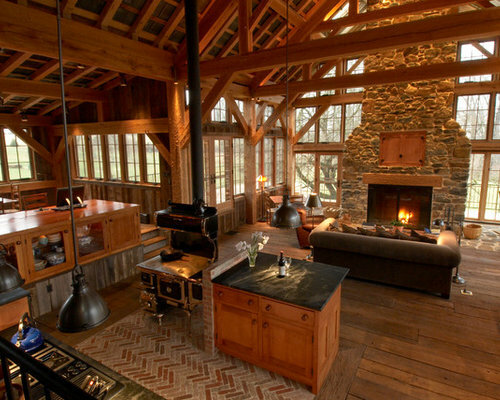 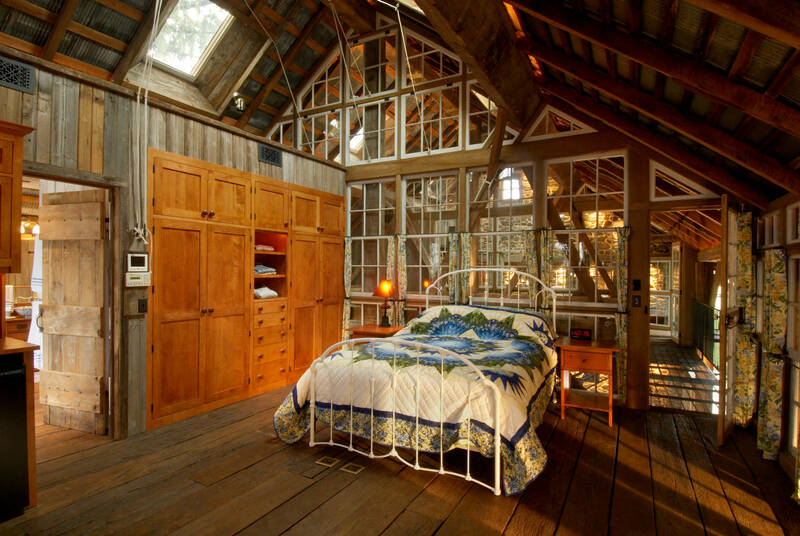 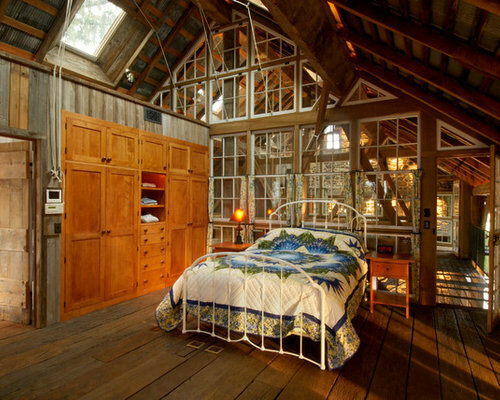 Timber Framer: Lancaster County Timber Frames, Inc. 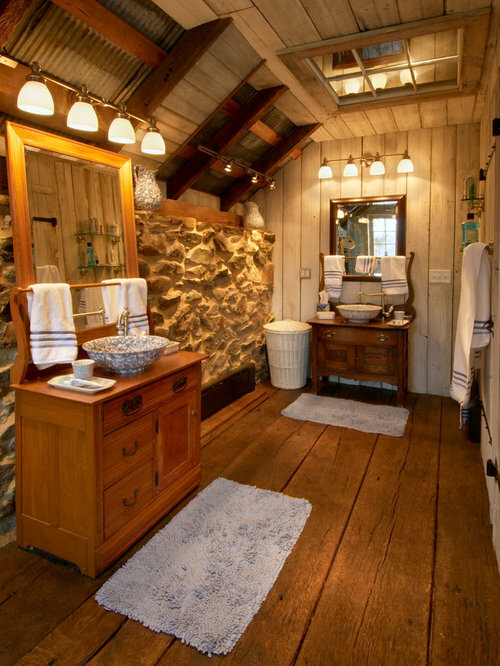 This bathroom is part of a repurposed tobacco barn that has been updated to ask as a home. 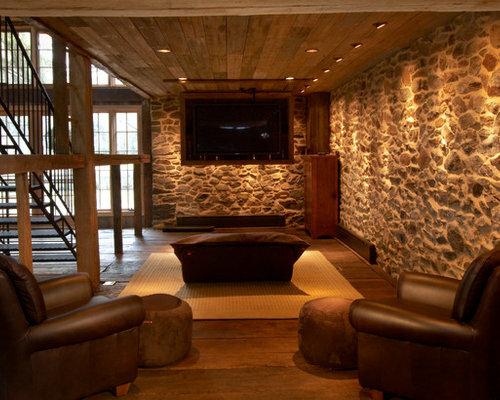 Aluminum, wide plank flooring, stone and creativity all come together to make this an interesting home.